The Centers for Disease Control and Prevention encourages everyone to get repeat flu shots for the coming flu seasons. However, vaccine makers suggest that some people may not necessarily need another flu vaccine this year. Makers of flu vaccine say the shots this year will be the same as last year’s since identical strains of the virus are still going around the environment. Some experts say young and healthy people may still have adequate protection from the flu shot obtained last fall. Thus, they may skip getting it once more for this season. However, health officials from the government say the protection offered by flu vaccines can significantly fade after some months, particularly in weak and elderly people. 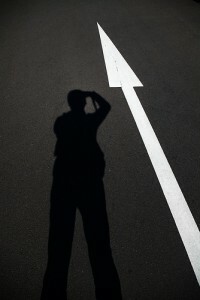 In fact, they are persuading everyone to get their repeat shots this year. 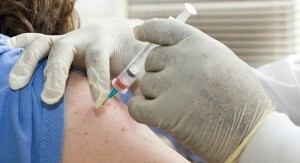 Vaccine makers announced that there will be plenty of flu shots coming in 2011. They said there will be enough for more than 50 percent of the population. Five manufacturers announced a couple of weeks ago that they are planning to make 166 to 173 million flu doses this year. In the United States, the demand for flu shots has been increasing as well. Over 40 percent of the U.S. population received flu vaccines in the past 10 months, leading to a successive year when vaccinations were at a very high level. While it is not clear whether repeat shot is needed or not, other experts believe that the position of CDC is the best possible course. Dr. Arnold Monto, a flu expert from University of Michigan, said that getting another flu vaccine is definitely not going to harm everybody. A post from the blog website of the United States Centers for Disease Control and Prevention drove too much traffic that it actually caused the site to crash on Thursday. The post is about hurricane preparation but used “zombie apocalypse” to trigger the curiosity of Americans and get them to read the blog. The Zombie Apocalypse campaign is the effort of the Public Health and Preparedness department of the CDC to spread information and awareness regarding the hurricane season which will begin on June 1st. The blog post started by saying that there are a lot of emergencies that we should prepare for and sited “zombie apocalypse” as one of those emergencies. Also, it was released days before the forecasted “Judgment Day” on May 21 which added a flavor on the campaign. A couple of weeks ago an evangelical broadcaster based in California predicted that May 21 is the “judgment day” or end of the world. Dave Daigle, CDC spokesperson, told Reuters on Thursday that if you are prepared for a zombie apocalypse, you are prepared for all other emergencies. Zombies became mainstream after George Romero successfully released a horror film entitled “Night of the Living Dead” in 1968. The movie was about flesh-eating zombies that roamed the eastern seaboard after a radioactive contamination. 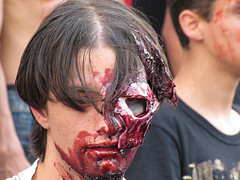 Zombie is a term that comes from a voodoo practice wherein victims are stripped of their consciousness. Daigle said that they aim to reach a young demographic to raise awareness about disaster preparedness. The campaign did just that as it went viral on several social media sites like Facebook and Twitter. Cancer survivors in United States are growing by number each year, health officials informed on Thursday. At the moment, about one out of 20 adults is afflicted with the disease. Officials explained why more individuals are surviving cancer, and that is partly because of earlier detection and enhanced treatment. The Centers for Disease Control and Prevention reported that about 11.7 million residents in United States have history of cancer in 2007. Forty years ago, there were only around 3 million individuals who survived cancer. However, that has grown to 10 million survivors in 2001 and to 11.4 million survivors in 2006. Health officials said eating healthy foods, decreased smoking and other steps to prevent the disease may have also played a part in the increase. Also, demographics are a factor that could affect the increase of survivors. Cancer is an illness that is usually common in older people from 65 years old. According to the CDC, 7 million or about 60 percent of the total survivors were aged 65 years and older. Most of the cancer survivors came from women who were diagnosed with breast cancer. They made up about 22 percent of the survivors. Meanwhile, 19 percent were made up by men who survived prostate cancer. The estimated number of people who survived cancer came from the National Cancer Institute, as well as CDC. They based their information from nine cancer patient registries located in United States. Anyone who was diagnosed with cancer, successfully treated, or still getting treated are included in the survivor count. Those people who might be dying from the disease are also included. Based on the acquired information, there were about 65 percent who had survived cancer for at least five years while about 40 percent had survived it for 10 years or more. Almost 26 million Americans of all ages now have diabetes and 79 million people have what doctors call “prediabetes.” This is according to 2011 estimates released by the U.S Centers for Disease Control and Prevention on Wednesday. Prediabetes affects 35 percent of the adult population. According to CDC, it is a condition where blood sugar levels are higher than normal, but it is not high enough to be considered as diabetes. Prediabetes increases a person’s risk for type 2 diabetes, heart disease and stroke. The large majority of diabetes cases are type 2. This occurs when the cells in the body gradually lose sensitivity to insulin. Experts believe that weight gain is one major reason why type-2 diabetes is continually rising among Americans. Dr. Christine Resta, an expert on diabetes said that the increasing rates of obesity are linked to the increasing rates of diabetes. But, another expert said that changes in the way doctors diagnose the illness may have also played a role in the increasing cases of diabetes. 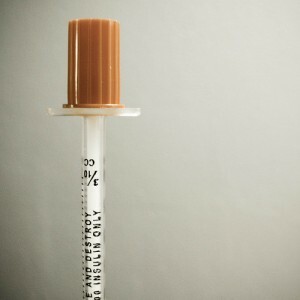 This is because American Diabetes Association lowered the guidelines for diabetes diagnosis, said Dr. Jacob Warman, the chief of endocrinology at The Brooklyn Hospital Center in New York City. The CDC agreed in their report that the shift to hemoglobin A1c testing could help explain for at least some of the increasing numbers. The test measures the sugar levels of a person for a period of two to three months. The CDC’s National Diabetes Fact Sheet for 2011 also noted that about 27 percent of diabetic Americans, or about 7 million people, still do not know that they have the diseases. Since the United States started the routine of vaccinating citizens against chicken pox in 1995, the number of Americans hospitalized each year because of the infection has decreased by more than two-thirds according to a government researchers report on Monday. Studies revealed that after giving vaccinations to produce immunity against the Varicella virus that causes the illness, the annual rates of chickenpox infections in the country dropped by 80 percent to 90 percent by the succeeding decade. A new study done by the researchers of the Centers for Disease Control and Prevention tried to look at how the rates of chickenpox-related hospitalizations have been modified. Most chickenpox cases may pose mild symptoms such as itchy blisters and fever. However, there are some people that develop potentially life-threatening complications such as dehydration, pneumonia and inflammation of the brain, which is also known as encephalitis. The researchers found out that there were one in 100,000 Americans that had chickenpox complications during the year 2000 and 2006 in comparison to the yearly rate of 4 out of 100,000 people between 1988 and 1995, the period before chickenpox vaccinations were introduced. As a whole, chickenpox hospitalizations fell by 71 percent during the study period. The CDC researchers suppose that vaccinations against chickenpox prevented an estimated number of 50,000 hospitalizations in the year 2000 until 2006. These results further support the great decline in severe cases of chickenpox disease, the lead researcher Adriana S. Lopez explained. She also reminded the parents that it is still important to have their children vaccinated against the disease.